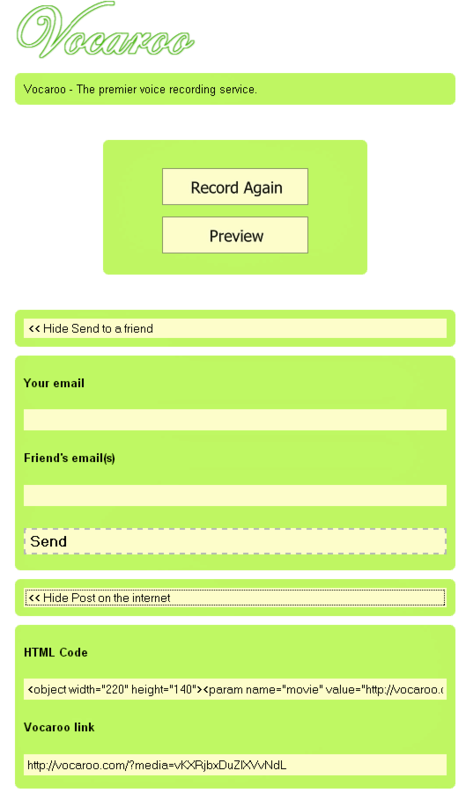 In Today’s Post, I am going to share in front of you how to record yourself voice via Vocaroo. In one of my earlier post here at iMagineTricks, I have shared How to Invite all friends to Like a Facebook Page on a Single Click. Well Before going to steps, Let’s introduce with Vocaroo. 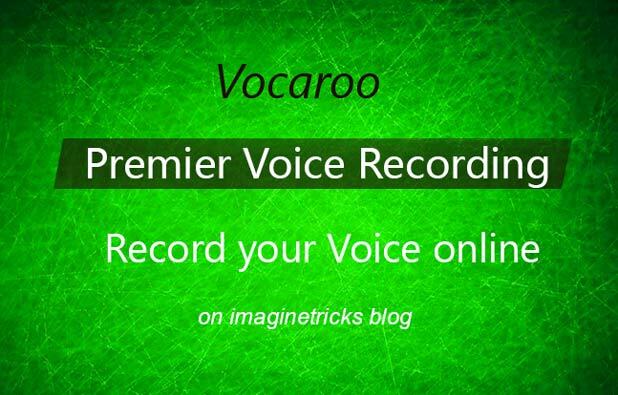 Vocaroo is the one of the easiest and premier online voice recording websites. Where you can record & listen your voice, also download your voice recording and with Vocaroo Upload any voice. You can Share via email Facebook over all the social platform. This is the best way to record sound, from Vocaroo voice recorder services. Vocaroo voice recorder: How to use? 5. After Recording, you can tap to stop them and share to others your via Email, Facebook, Twitter and a lot more on social media. Vocaroo upload: How does it Work? 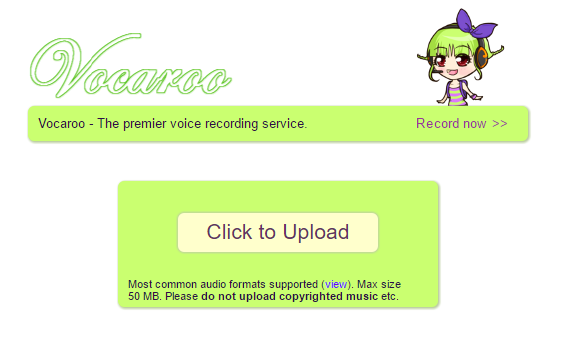 Vocaroo is also best for an Audio uploading; mostly you can upload your audio recording and share with others. It supported all formats like (mp3, Ogg, FLAC, Wav, WMA, AMR, etc.). You can upload any voice recording Maximum size of 50 MB files. I hope you will enjoy if you have any problem simply check the Frequently Asked Questions.